This astonishing vision of unladylike vulgarity and violence is the daily, bitter harvest of what White liberals inflict upon American Blacks: ignorance of a sort that boggles the mind. My Cap Black “Make Peace with America” effort has the herculean task of either de-programming these folks (lost cause? ), or barring that, assisting authorities in their prosecution. 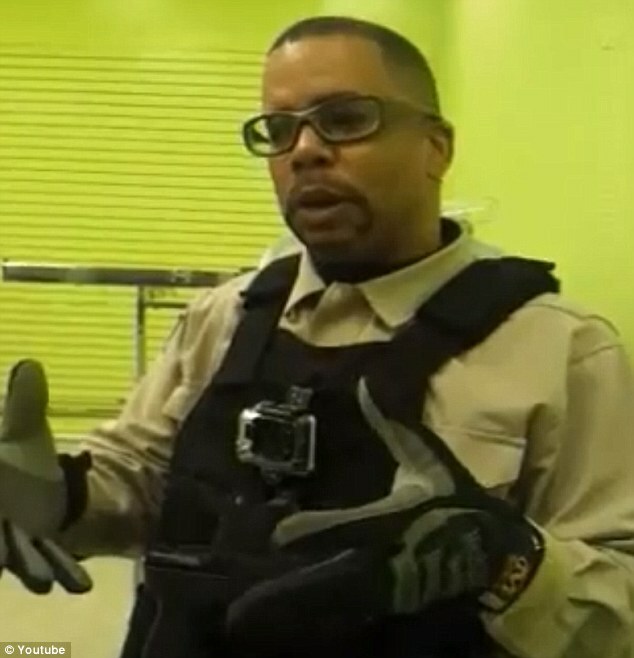 Please note how Atlanta store manager Darien Long (from the video) is garbed more like a police officer or military peace keeper, than a retail supervisor against this threat. As crack destroyed my neighborhood and urban America in the 80s, I chose the former. I can’t allow savages with sagging jeans to dictate my reality. Our White conservative brethren did their part during the Reagan administration by imposing harsh federal penalties on crack dealers and the mega-violence their trade brought. Heeding the ironic cries of Black Democrats caught in the crossfire of drug turf warfare, so-called “racist” White Republicans made sure Black crime victims got first class treatment. Unsurprisingly, Obama’s first term saw him reduce mandatory minimum sentencing for crack offenders, under the racist premise that it’s a “non-violent” crime. Urban safety is the civil rights issue confronting my generation. “Chocolate Klansmen” is my nickname for kill-crazy drug dealers out doing the classic one in terrorizing American Blacks. It also applies to vile, violent women like the one in the video who got the tazing she richly deserved. Chocolate Klansmen are what White liberals need to keep themselves in power. The lower we sink, the longer they and their Black apprentices rule over our bloc vote. Please note, White liberals won’t live beside women like this; nor will they allow community street corners to be occupied by small boy units of crack dealers. Such is reserved for those of us in slave quarters, which is what America’s inner cities are under White liberals and their Black apprentices. Saving the Hood from chocolate Klansmen requires de-programming where possible, and cooperation with authorities. The ratio tilts far more toward cooperation with authorities to prosecute them than the other way around. My “Make Peace with America” effort isn’t about making excuses for savagery – it’s about making new patriots who build up society where its weakest, instead of tearing America down. American Blacks who want safety and decency must find the “Cap Black” within to take charge and stand up to chocolate Klansmen instead of bowing down to them. Saving the hood from chocolate Klansmen begins by telling them their savagery is unacceptable and meeting it with resistance. Happy American History Month! (This is my alternative to Black [Liberal] History Month.